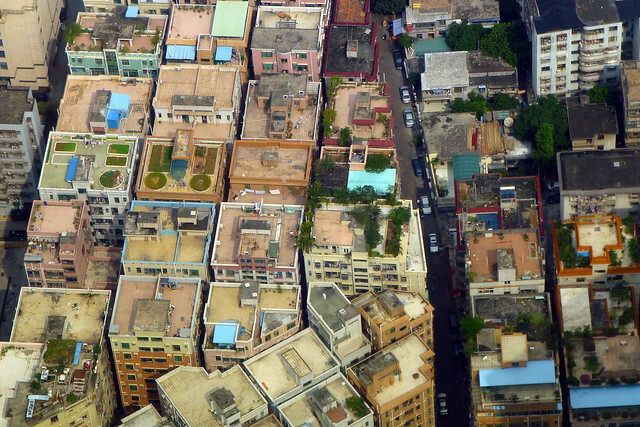 Shenzhen and Guangzhou have some extremely dense areas refered to "urban villages". Based on data from a study on Shenzhen's urban villages, the densest ones are close to 1,000,000 ppsm, rivalling the densest places in the world like Dharavi. They are mostly midrises with almost no space between them, the living space is not as crowded as some of the really bad slums out there, but still quite crowded with just a bit more than 100 sf of living space per person. They're pretty small though, essentially just neighbourhoods in scale scattered throughout the city, separated by less crowded areas. While crowded, at least they are human scale and very pedestrian oriented... kind of like a dense version of Venice without canals. ^ That's ridiculous, I'd hate to think what would happen if there was a fire in there. No wonder so many people die in China due to disasters. Among the developed world, I would say Hong Kong, followed by Seoul and Barcelona. Seoul has many areas above 100,000 ppsm and the densest areas are similar to Barcelona. Both have high densities from the core to the suburbs. The densest neighbourhoods of Barcelona are actually in the suburbs, and Seoul's suburbs are mostly high rise. Other major cities of Spain like Zaragossa, Valencia and Madrid are close behind Barcelona. Even Spain's small cities are very dense with midrises covering much of the city... as a matter of fact, even some of the towns under 10,000 people are basically like that. Ourense 28 dias despois | Flickr - Photo Sharing! Southern Italy has many cities and towns that are very dense too, even some rather small ones. 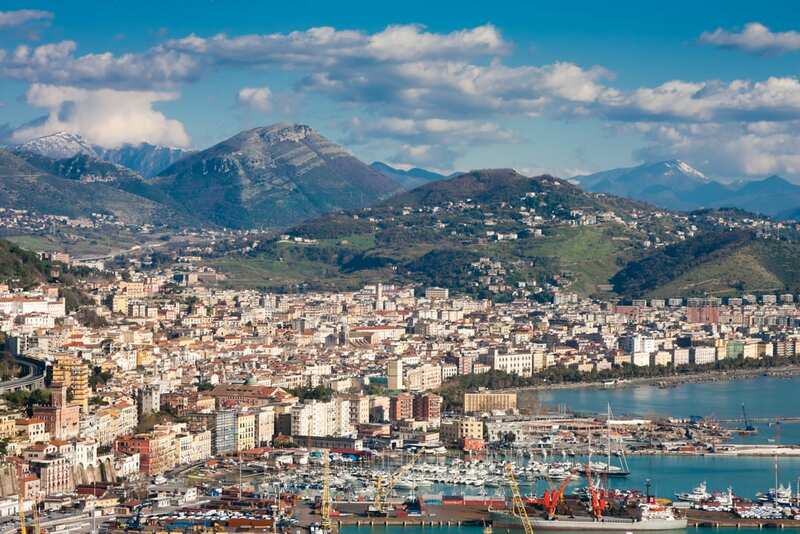 This is Salerno, also about the size of Sioux City, almost the entire city is mid-rise. You also have Venice which is only about 2 square miles (the old city/off shore area) . The population isn't that high now since many parts are very gentrified or converted to hotels, but I think the population peak for the last 200 years was close to 200,000 people (so 100,000 ppsm). Not sure what the density was like in Medieval times. Athens and Thessaloniki are also similar to Spain. Portuguese cities, Paris, Vienna and Copenhagen are quite dense too. They all have large midrise cores, but also a decent amount of suburban areas. Paris's midrise core is probably a bit denser than Vienna's, however it has much more expansive lower density suburbs (including the ghetto apartment suburbs). Copenhagen has quite expansive suburbs too, Lisbon looks like it's somewhere in between Paris/Copenhagen and Vienna. Manhattan is probably similar to the denser European cities, but Brooklyn is already less dense than the outer neighbourhoods of many small to midsized Spanish cities and then density drops off quite a bit more once you hit suburbs like those of Nassau County. After New York, the densest cities in Canada/US/Australia would probably be Toronto, San Francisco, Montreal, Los Angeles, Vancouver and Sydney, roughly in that order although it depends on the method of measurement and they're roughly in the same league although of different size. Chicago has very high built densities in its downtown, but residential densities aren't as impressive. It, and Philadelphia have pretty large urban cores with densities and sizes in the same league as the others I mentioned, but then they have vast expanses of very low density suburbs that bring their densities down more than for the other cities in Can/US/Aus. Not sure where to put Tokyo, Tapei and Singapore. Tokyo's got a lot of small lot single family homes, though the core has a lot of midrises... however I'm not sure how much of that is residential. The small lot single family can be quite dense though, so overall, I'd put it maybe between Athens and Paris? The built form is very different though. Hard to say for Singapore too, but I would say... maybe similar to Tokyo? Although in terms of built form it's a bit like a less dense and smaller version of Seoul. I'm not very familiar with Istanbul, but based on the numbers given, it looks like it would be pretty comparable to Barcelona or Seoul, maybe a bit less dense. Some Russian cities are pretty dense too, like Moscow, although while Moscow has tons of highrises it's much less dense than Hong Kong for instance since they're more spaced out. I could see it being denser than Paris though. I think the densities South American cities are probably Sao Paulo, Buenos Aires and Caracas, which are probably similar to the denser developed world cities but definitely not as dense as the densest developing world cities in Asia and Africa. Btw the densest city blocks of Toronto are around 300,000 ppsm. Hong Kong's Mong Kok neighbourhood is supposed to be around that density. Several more city blocks of Toronto will be around that range or denser if all the proposed projects are completed, so maybe Toronto will be like a newer more residential version of Manhattan. 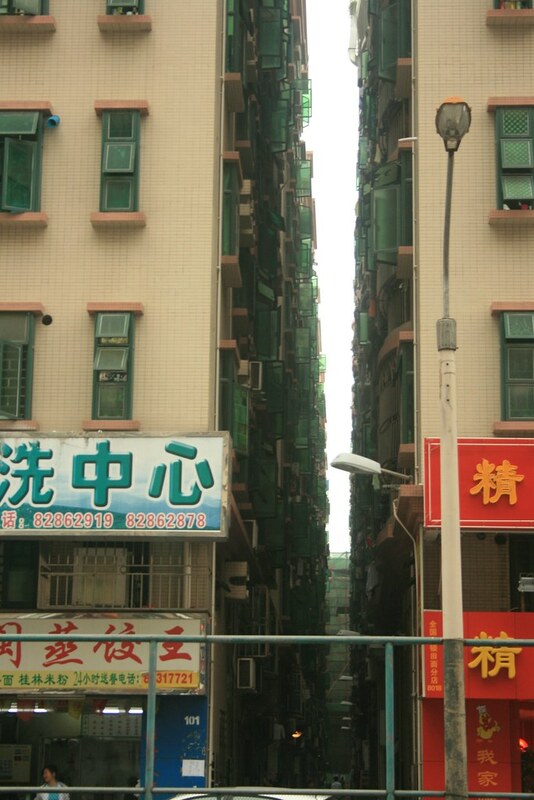 Some parts of Hong Kong have very extreme built densities though, although it's hard to judge exactly. Most Hong Kong buildings have relatively small floorplates, but they are also very close to each other, often touching. If I had to guess which city has the highest built densities and average built densities, I would go with Hong Kong. The other thing that's very unusual about Hong Kong is that it houses warehouses and certain manufacturing facilities in skyscrapers, something I haven't seen anywhere else in the world. As we all know, cities have an overall density to them, but certain areas are certainly more dense than others. I think it would be cool to list the densities of various districts/neighborhoods of cities. I'm going to start with Istanbul, Turkey. Listing from most dense first, top 10. Keep in mind that Manila, PH has a density of around 110,000 per square mile. GAZİOSMANPAŞA, GÜNGÖREN, BAHÇELİEVLER, and BAĞCILAR all form one "super area" as well. Putting them all together with BAYRAMPAŞA, they form an area of 26.003 sq miles. The combined population is 2,408,947, and therefore the combined area's density is 92,641 per sq mile. GÜNGÖREN and BAHÇELİEVLER are also next to each other, meaning the combined area has an area of 9.164 sq miles. The population is 910,035, giving that area a combined density of 99,305.4 per sq mile. Compare that to the 2nd densest city on earth: Bogor, Indonesia. Very similar.. This would put this larger area in Istanbul as the 3rd densest city in the world if it were a city. IN fact, the area is actually larger than 10 of the top 15 densest cities on earth. Larger than 35 off the top 50 cities in just the combined neighborhoods from above. Istanbul is much more dense than the densest parts of Seoul. 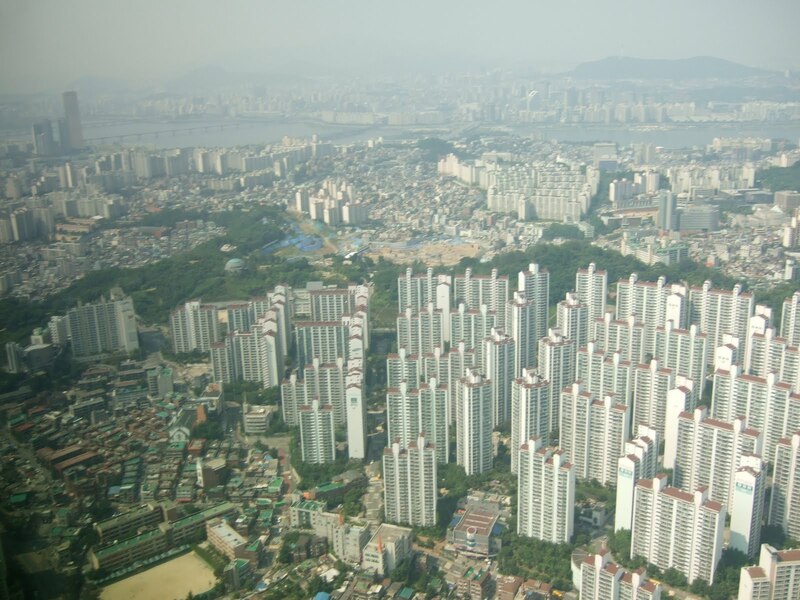 The densest district of Seoul, Yangcheon-gu, is at 72,210 /sq mi. If that was in Istanbul, it would be 7th densest district. That means there are 2,828,812 living in Istanbul in denser parts than the densest part of Seoul. This is larger than the current population of the entire city of Chicago. The 7th densest district of Istanbul is just 1000 people less per square mile than the Seoul district (it has around 250,000 people living in that area in Istanbul). The 2nd densest district of Seoul would register as 10th if it were Istanbul (Total population of 3.8 million more people in Istanbul. For Barcelona, the densest district, Eixample, is at 91,130 people per square mile. That would make it the 4th densest district of Istanbul. That means there are 1,392,588 people living in denser parts in Istanbul than the densest part of Barcelona. Barcelona's entire population is 1,621,537.. Barcelona's entire density is around 44,000 per square mile. Double Barcelona's density and then a little bit more and you would have the equivalent of the densest parts of Istanbul for the entire city of Barcelona. Last edited by marothisu; 01-20-2013 at 11:22 PM.. Many consider them a fire hazard. Considering how often fires break out in a normal city, you would think one would have broken out already and could be used to evaluate just how bad it is... Having large amounts of buildings connected or very close together and about that height is not that uncommon. The larger city blocks of Paris are around 5-10 acres and the buildings in them share walls not just along the street but across the middle of the city blocks which have several courtyards. If you assume the tiny 5-10 ft gaps between the buildings in the Shenzhen urban villages isn't enough to stop fires but the wider ~30 ft streets like in the second picture are wide enough to prevent fires from spreading across them - and also to allow fire trucks to get in, then a typical block might be about 3 acres in size and maybe 5-15 buildings wide and deep. Some are significantly bigger though. However, I'm not sure how well they are built and whether basic fire safety (like fire hydrants) conditions are met... so that could be a problem. They are being demolished on a pretty large scale, but I wonder if the retrofitted somehow to be improved affordable housing of sorts, maybe by demolishing some buildings to break up the blocks, providing light, emergency vehicle access and some open space. Anyways, I would say that these have a fair bit in common with the lower east side around 1910, but maybe even a bit more crowded, and mostly with narrower streets and a bit taller. ^ How does Singapore fit into things? I don't think you could use t's national population density as about 40% is taken up by reserves/the airport/industrial areas, believe it or not. It's national/island density is 7,351 km2 or 18,943 miles square. So going by that, I would estimate a typical residential neighbourhood in Singapore has over 30,000 people per square mile. Actually probably a lot higher since you'd have to take away non-residential areas. It's at least comparable to Manhattan IMO, since it's just solid high rises, so possibly twice that at 50-60,000 people per square mile. Still lower than HK, but probably up there. 16-20 million, wow! That would make it the biggest city in Europe, even if it's partially in Europe, and a sure rival for London. Had no idea it was that big!